It’s gone from a semi-linear B-movie action flick to tribal tale of survival, to neon-drenched 80’s cyberpunk and beyond, and none of it directly building off of the game that came before. However, despite the fact that there’s always some new ambitious gameplay idea or storytelling hook, none of these have ever fully come together. Whether it’s a broken climax and questionable balancing, technological limitations, blatant racism and a broken climax, or a simple lack of much to say, every entry had fumbled. Far Cry 4 broke this trend by not only being in the same universe as Far Cry 3, but by reusing a majority of the same gameplay ideas. Another way it broke the cycle? By adding choice. As Far Cry 4 begins, you play a son trying to return his mother’s ashes to a place you only know as Lakshmana. You are warned that the tyrannical regime of dictator Pagan Min has turned the country into a volatile warzone, but you go anyway. Within ten minutes of entering the country, you meet Pagan himself, who you learn over time has more to do with your past than you first expected. And then, a choice. After witnessing Pagan’s mixture of suave demeanor and brutal rage, you are left alone in his palace. He tells you to wait, and that he’ll be right back. If you go out and investigate, the rebels known as the Golden Path rescue you from Pagan’s grip and you start the game’s tutorial. However, if you don’t go running off, the game responds to your choice with a briefer, but still satisfying conclusion to the narrative. Your mother and Pagan’s history together is detailed, and you learn revelations that would have taken tens of hours otherwise. 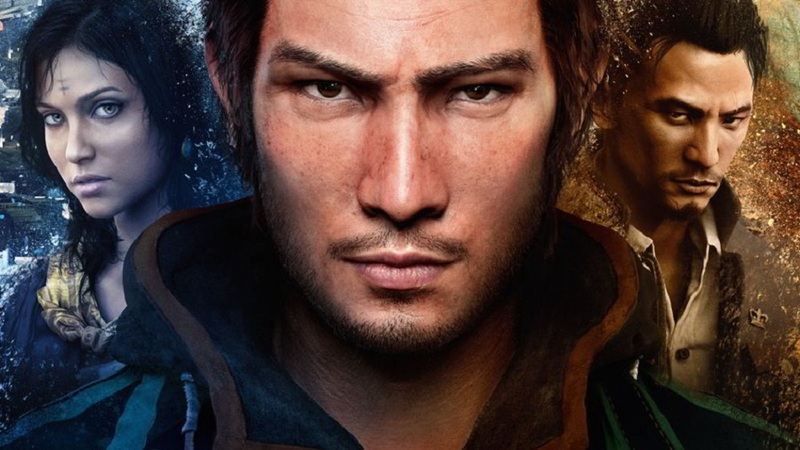 While this path does end on a coy wink to the player, it actually works as its own cohesive narrative, and this choice is what makes Far Cry 4 different than most traditional Ubisoft games – this remarkable willingness to respect your decisions, even if the campaign itself plays out more or less the same no matter what. Take for instance, the story missions you follow for the Golden Path. This rebel group is torn between two leaders, Amita and Sabal, both trying to pick up the pieces after your revolutionary father’s death. Amita is the progressive, arguing in favor of modern ideals and a secular philosophy. Sabal is a traditionalist like your father, arguing in favor of preserving Kyrat’s culture and a religious philosophy. You can try to appease both, but no matter what, you eventually have to choose a side. In fact, your decisions culminate in a heavy choice between either upholding one of Kyrat’s oldest traditions and sacred landmarks, or destroying it and freeing an innocent girl from a fate she did not choose. Your faith in each leader, their morals, and your own faith, are all put to the test. It’s arguably a more critical decision than even how you resolve the war with Pagan Min. This conflict leads to a confrontation between the two leaders where the one you’ve been most loyal to orders you to eliminate the other. In any other game, you would probably face your target in some melodramatic boss battle, but this is not the case in Far Cry 4. You arrive at their home, and they offer no fight as you hold a gun to their head. You can pull the trigger and finish it, but if you linger, the game recognizes your hesitance, and you can let the other leader go. They don’t come up again in the plot, and there’s no “Sabal will remember that” notification on screen. It’s just a choice, and it colors your experience while saying something about who you are. Similar decisions arise when dealing with Pagan Min’s lieutenants. While Yuma is a standard boss fight fueled by drug-induced hallucinations, Noore and DePleur aren’t quite as cut and dry. No matter what you do, they are dealt with before credits roll, but you can choose to be more merciful. However, in your mercy, you may also realize that simply killing them may have been a less awful fate than you lead them to. DePleur lives, but is trapped inside a cage while listening to his daughter’s ringtone on a phone just out of reach. Noore learns that all her deceitful acts were for nothing, her family lost, and sacrifices herself to her arena’s tigers for one last carnal display for her ‘fans’. 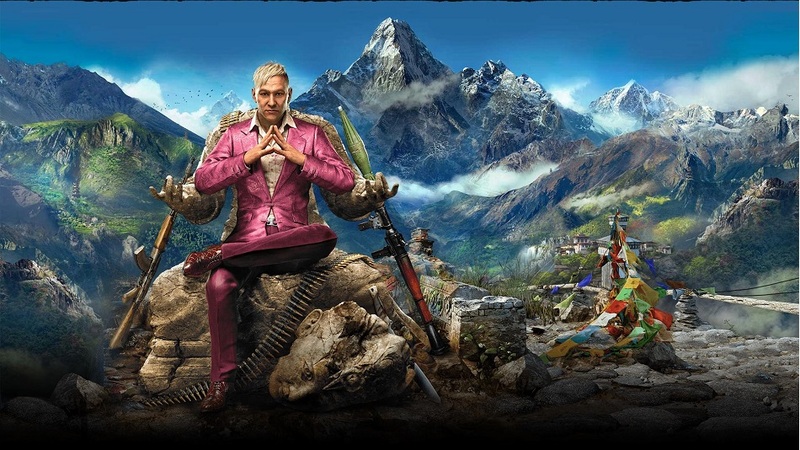 Every choice you make in Far Cry 4 is not just a matter of good vs. evil, but a question of which evil you can live with. That’s a rather compelling idea for a game to grapple with. 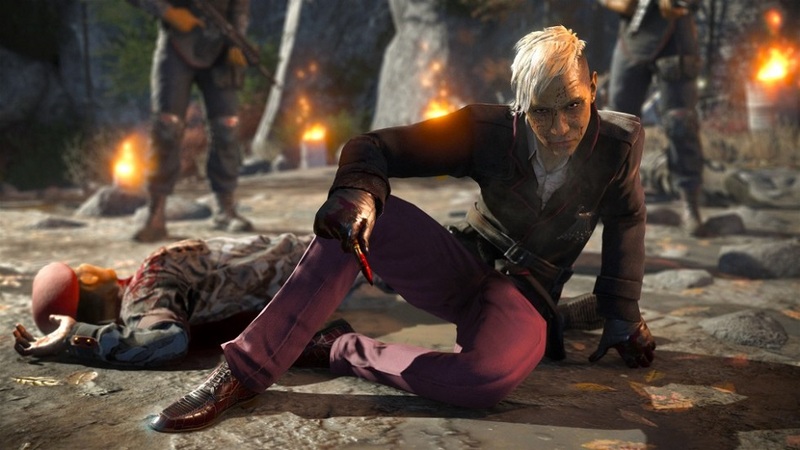 Similarly, Far Cry 4’s final confrontation isn’t the usual grand finale, but a somber, knife-twisting conclusion. Pagan Min sits before you, asking who you are. Are you the man who came to return his mother’s ashes to her homeland? Or are you the man with a gun who’s going to kill him? And you can totally kill him, right there and then. The game won’t stop you, and the story will conclude as such. However, once again, if you choose the merciful option you see a bit more humanity and tragedy in the events that unfold. As you grapple with the revelations he has in store, the story isn’t quite finished with you yet. You see, whoever you left in charge is now acting virtually unopposed, and they quickly begin on the path of becoming another tyrant. Just like your own actions, whoever you backed has turned sour in their hour of victory. Sabal intends to lead a restrictive conservative regime, and Amita makes a play for a communist-leaning government. After they tell you what they plan to do and warn you to not get in their way, there’s a momentary pause. The game re-enters your control, and your former ally has their back turned to you. Your targeting reticule glows green as it lingers over them, and in most games, you wouldn’t be able to attack them. Or, at best, you could, but they wouldn’t die. But here in Far Cry 4 you can choose to try and stop the cycle one last time by opening fire. Regardless of the choice you make, your former comrade never appears again. However, by giving players the choice of whether or not to stand idly by, the developers allow the player one final say in the war for Kyrat, and it’s a brilliant one. From the moment it starts to the final credits, Far Cry 4 knows what it wants to be and executes on it precisely. Instead of tossing disparate elements to the wind, everything knits together to present a simple, poignant story of regret and ill-fated choices – staining the mountains of Kyrat with the consequences of your decisions. Cohesively designed, harnessing the lessons of its forebears, Far Cry 4 is what a triple-A game should aspire to be. Elijah is a raving madman from the backwoods of Pennsylvania who loves Dead Space a bit too much for his own good. Has lived the stream, pounded the news beat, and currently reviews (see: rants politely) on YouTube.